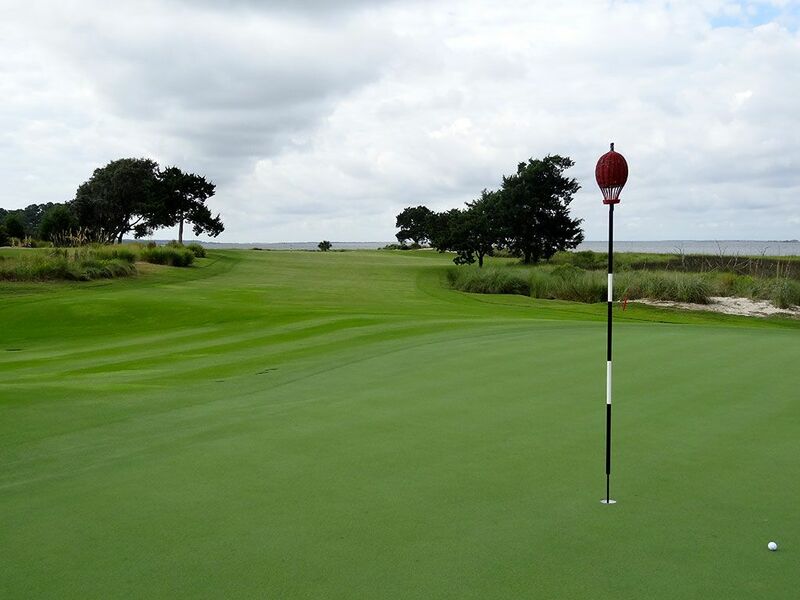 Course Website: Official Website - Visit Sea Island Golf Club (Seaside)'s official website by clicking on the link provided. Accolades: Ranked 3rd in Georgia on Golf Course Gurus' Best in State list. 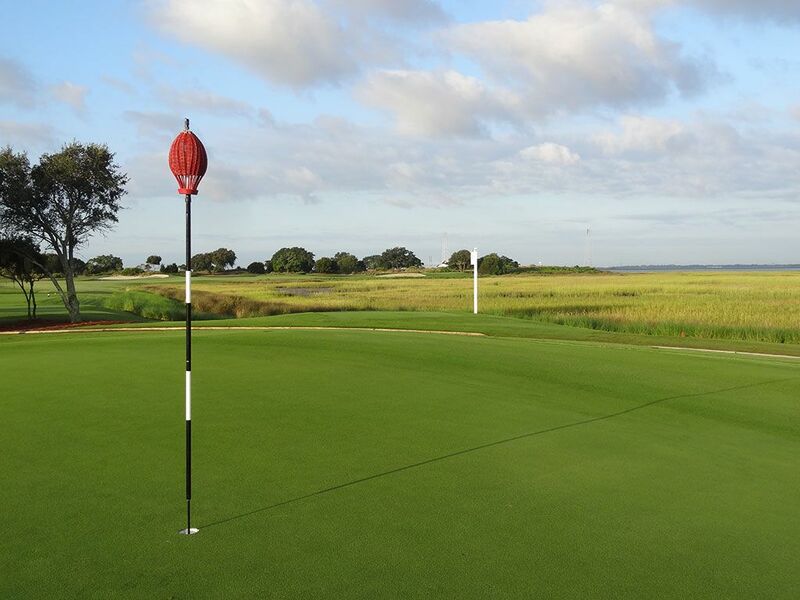 What to Expect: The Seaside course is the most revered course at Sea Island and is featured on the PGA Tour's fall series of venues. The stunning coastal property enjoys numerous water hazards and some captivating views of the Atlantic Ocean. 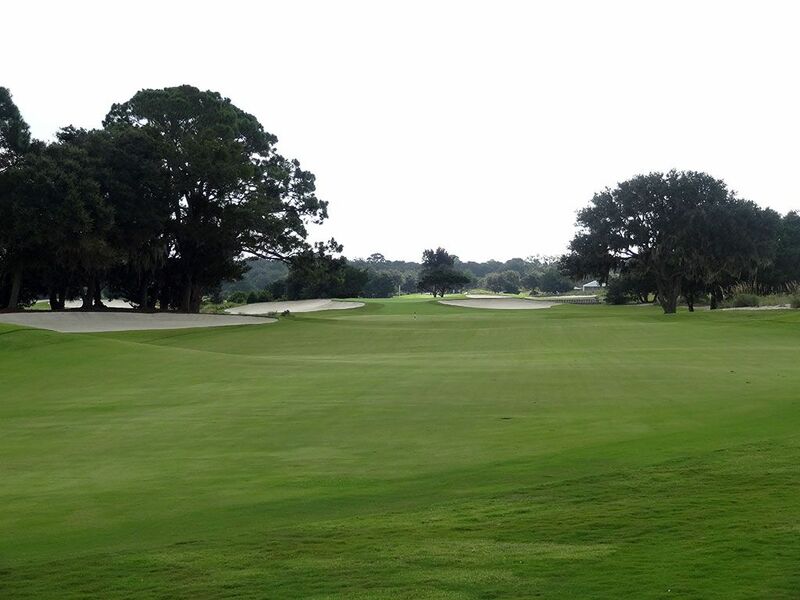 The course is kept in flawless condition and has soft shapes and contours throughout the layout. Seaside felt like a throwback in time to me in terms of design style, setting, and overall experience. In fact, the pins have baskets on top, ala Merion, rather than flags which provides a unique look and feel that is rare to find. Along with Merion, it most closely reminded me of the perennial Top 100 course Kittansett south of Boston due to its style and location on the water. One unique feature about Seaside is the cemetery located left of the 9th green where former plantation workers are buried on site and several cemetery stones still exist. 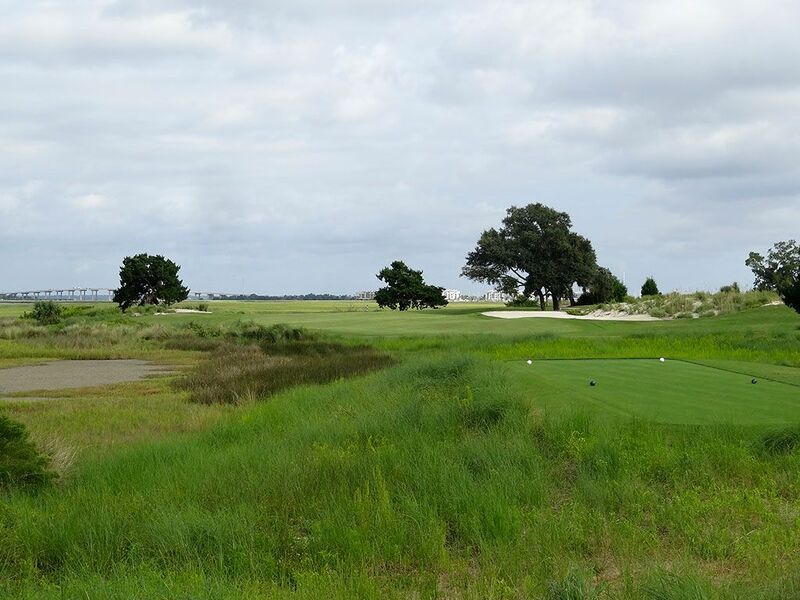 The front nine is an enjoyable layout that features some marsh areas and strong green sites while the back nine boasts one of the most fun and attractive layouts you'll ever come across. 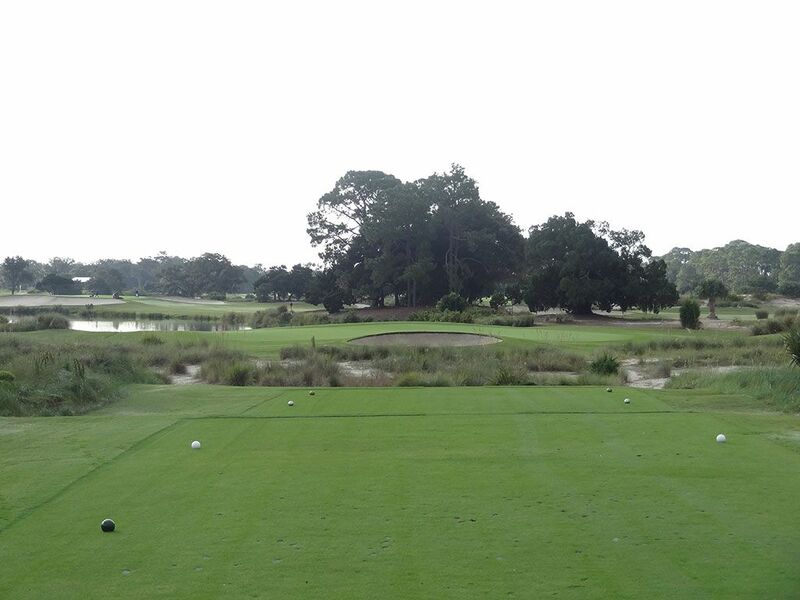 With constant views of the Atlantic Ocean and an old school links style that is near and dear to my heart, I simply fell in love with Sea Island during the back nine of my round there. While wayward tee shots on the front nine will often find water or marsh area that will forever claim your ball, the back nine has sandy and natural areas that springs hope in your game even when you aren't 100% dialed in. I've played numerous courses that are on the PGA Tour and often they are more hype than substance, but Sea Island's Seaside course may be the best hidden gem on golf more prolific tour that I've come across. 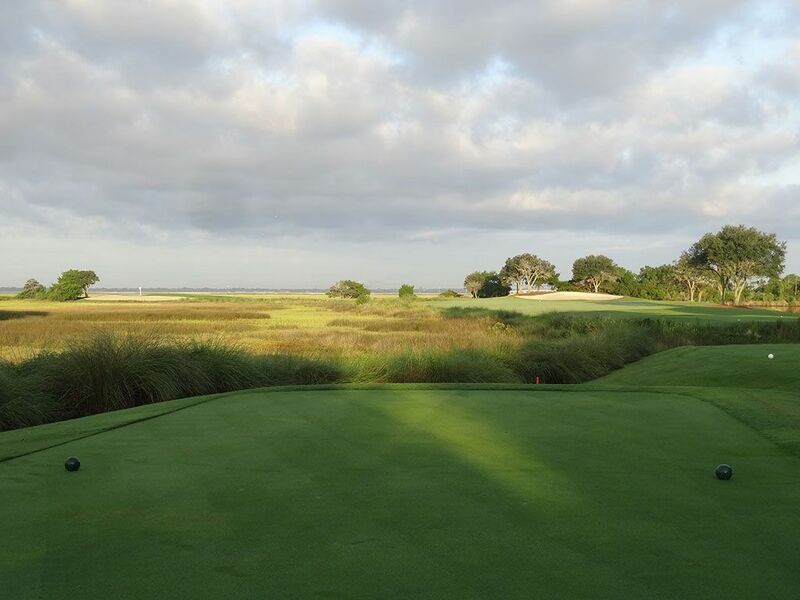 Signature Hole: 13th Hole – 409 Yard Par 4 – The 13th hole is at Sea Island's Seaside course is chock full of eye candy as the links course takes off towards the ocean. 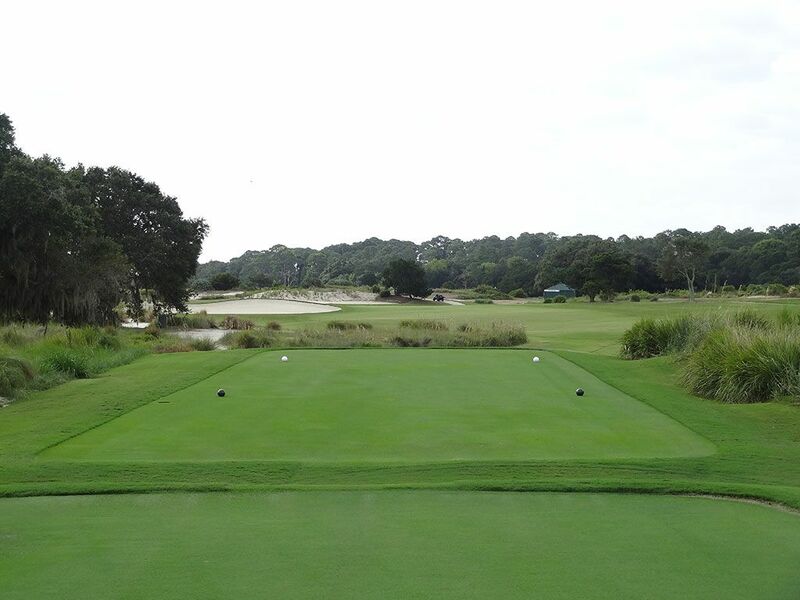 From the tee on this dogleg left par four players are presented with a trio of bunkers running up the right side of the hole and marshland framing the left. 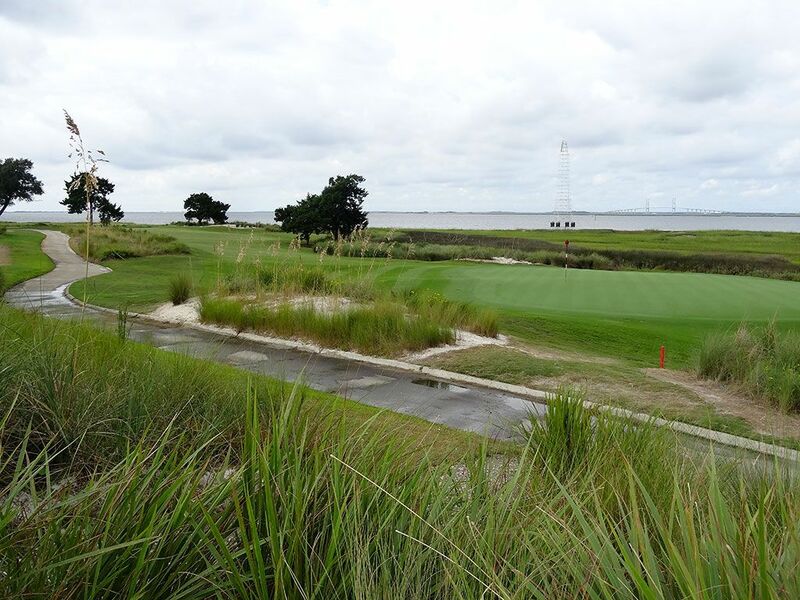 As players come up the fairway they are presented with views across the Saint Simons Sound off the Atlantic Ocean with the Sidney Lanier spanning the Brunswick River on the left and the two metal signal towers in the water on the right. An additional bunker spills out of a sand dune on the right side of the hole 20 yards short of the green while a final bunker fronts the putting surface. When you combine the links setting, old school basket flags, and stunning views, Seaside stole my heart on the 13th hole. 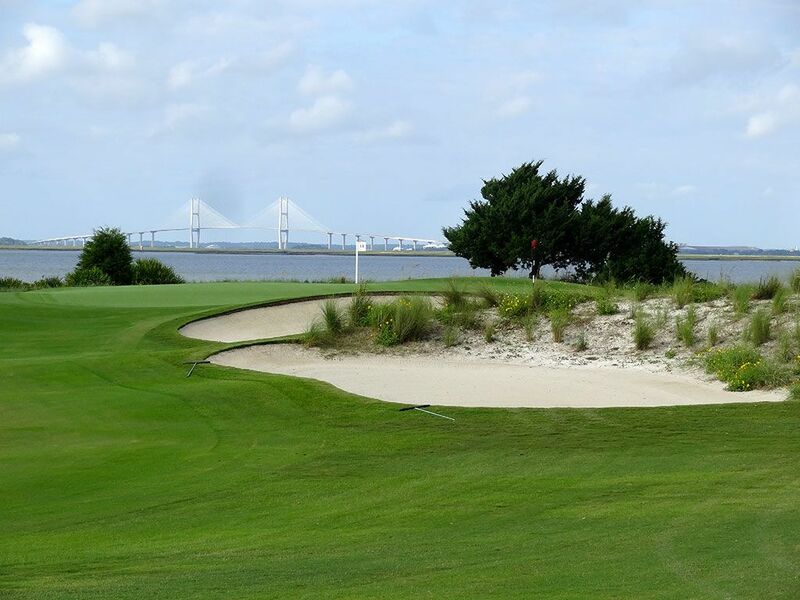 Best Par 3: 17th Hole – 176 Yards – Seaside's final par three plays straight toward Saint Simons Sound to a green that is half as deep as it is wide. 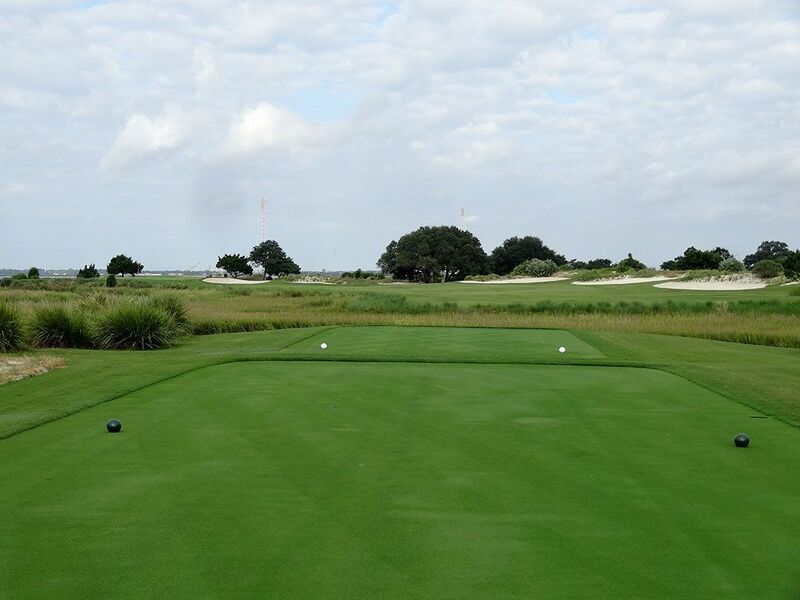 The green sits at an angle away from the player with the front left corner being the nearest point to the tee and the back right corner being the furthest. A pair of burmed bunkers protects the right side of the hole and makes attacking the back portion of the green a stout challenge to succeed at. With the pin position and wind speed dictating everything on this hole, a lot can happen down the final stretch at Sea Island. Best Par 4: 14th Hole – 407 Yards – The 14th hole is the nearest point to the salt water on the course and provides an intriguing yet simple design. This dogleg right plays to a fairway that slopes right to left while also featuring a bunker and a pair of trees protecting the dogleg. Players that manage to keep it up the right side while avoiding the trouble will end up in perfect position on their approach while players that guide the ball too far left will be lost in the marshland. 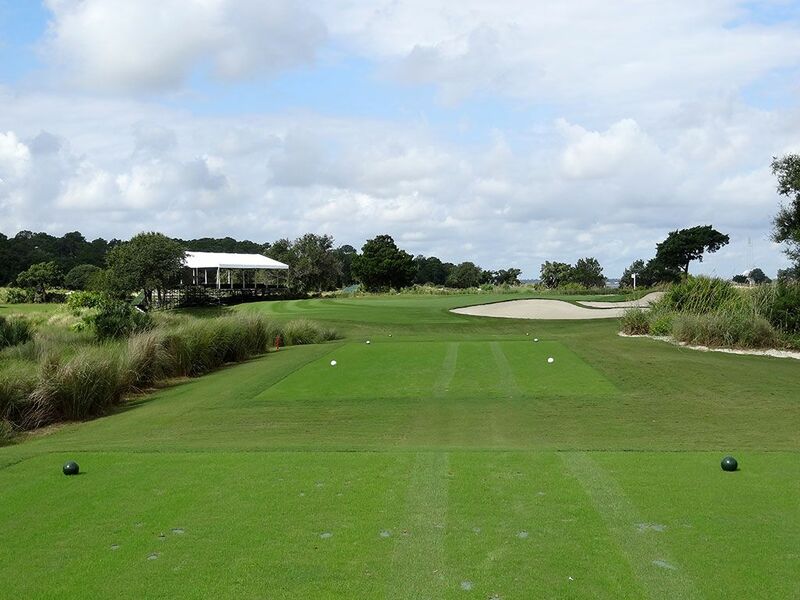 The fairway tightens to half the width towards the bunkerless green that features subtle mounds around it that create intriguing playing options. The 14th stands as the final offering of a spectacular start to the back nine of holes that play toward or along coastal sound. 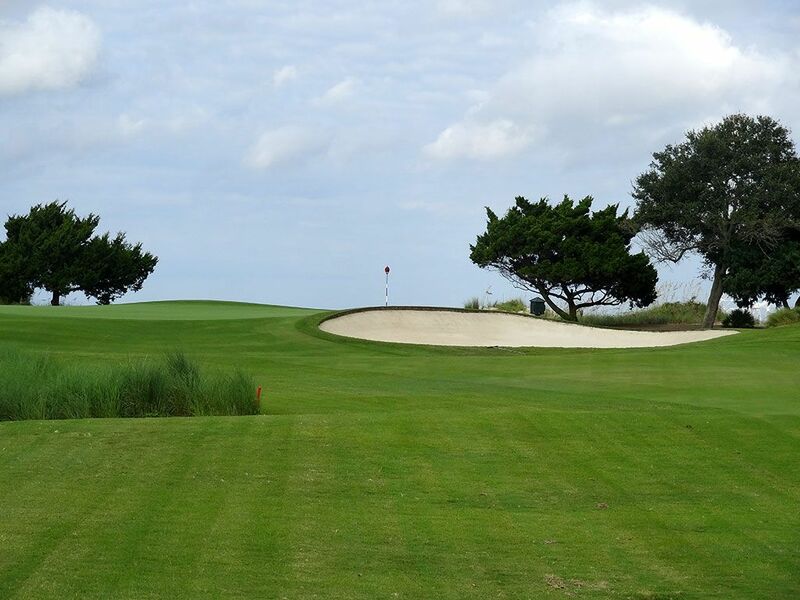 Best Par 5: 15th Hole – 545 Yards – Though the course now begins playing away from the ocean/sound, the quality of the holes continues to excel with this dogleg left par five. A bunker protects the near side of the dogleg while another bunker sits on the far side of the turn in the fairway and begs for players to hit a draw between them. The approach shots plays between a set of trees before chasing up to the green that is pinched tightly in front by a pair of bunkers. The closer to the green players get, the closer a pond encroaches in from the left and drowns balls pulled left of the sand. The hole is reachable in two but the green is well protected and will reward only the finest of shots. Birdie Time: 6th Hole – 164 Yard Par 3 – This straight forward one-shotter plays to a bloated-kidney shaped green semi-folded around a medium sized bunker fronting the putting surface. The green is large for a par three of this length and should instill confidence in the player particularly since virtually every hole location should be the green light to go pinseeking. With a substantial collar around the green and little trouble to get into, players should have no fear trying to knock it close and getting down in two. Bogey Beware: 4th Hole – 421 Yard Par 4 – At the McGladrey Classic during the 2014-15 PGA Tour season this hole played the most difficult on the course and yielded 103 bogeys during the tournament; 22 more than any other hole. While the hole doesn't feature punishing length, water rests to the right of the fairway and marsh area tightly hugs the left side. In addition to the trouble framing the fairway, a bunker rests on the outside corner of this dogleg left effectively tightening up the driving zone to an intimidating size. 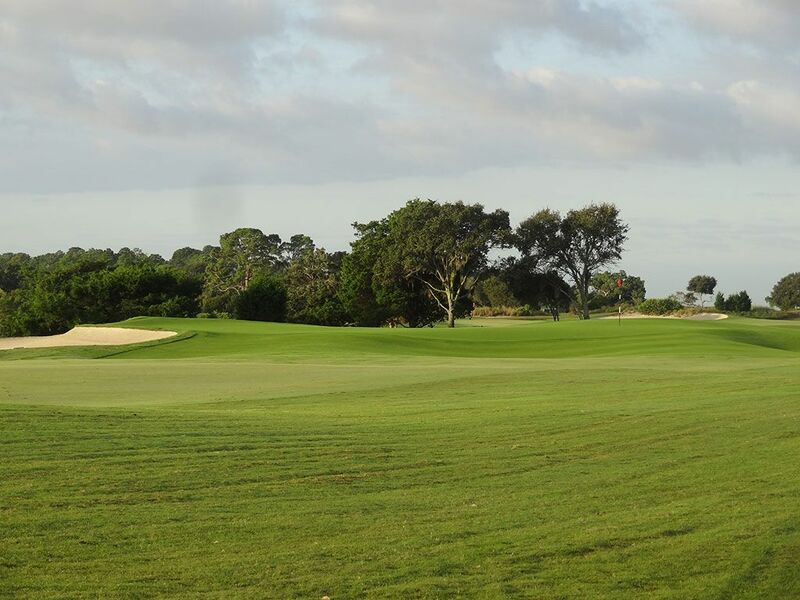 Players fortunate enough to find the short grass will face an approach shot to a heavily undulated green protected by a bunker along the entire left side of the putting surface and mounding around the rest of the green. Between the driving zone being the most difficult to hit on the course and the undulated green being one of the most difficult to navigate, the 4th hole is a bogey making machine.